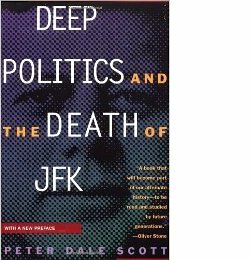 You are here: Home › Other JFK Assassination Texts › Official JFK Assassination Documents › Memo: Was Oswald an FBI Agent? Was Oswald an FBI Agent? One of the first matters to be considered by the Warren Commission was also one of the most sensitive: an allegation that Lee Harvey Oswald, the only official suspect in the assassination of President Kennedy, had been a paid undercover agent of the FBI or the CIA. 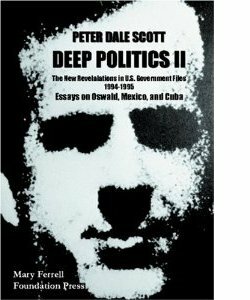 Stories had already emerged that Soviet officials had met Oswald in Mexico City a few weeks before the assassination. These stories had generated competing conspiracy theories that blamed either the Soviets or the US security system for the killing. The Warren Commission was established specifically to counteract these conspiracy theories. J. Lee Rankin, the Warren Commission’s General Counsel, was told in January 1964 by a reliable source that it was common knowledge among journalists in Texas that Oswald had regularly received $200 per month from the FBI. If Oswald had indeed been secretly employed by a federal agency, the Commission would of course have found it almost impossible to make a convincing case that he had acted alone. Rankin and Earl Warren were determined to silence the rumour. The matter was discussed at an emergency meeting of the Commission on 22 January 1964. Two days later, Rankin and Warren met officials from Texas, who repeated the FBI rumour and mentioned other rumours about a connection between Oswald and the CIA. According to FBI interviews with one of the officials, Rankin swore them to secrecy. At the next meeting of the Warren Commission, on 27 January, Rankin discussed the FBI rumour but did not mention Oswald’s alleged connection with the CIA. Secrecy was extended to the records of the various meetings. Part of the 22 January meeting took place off the record, and the stenographer’s notes of the remainder of the meeting were destroyed. A tape recording survived only by chance. No stenographer was present at the 24 January meeting; the only record was Rankin’s memo, which is reproduced below. These documents only came to light many years later, and were released to the public as the result of litigation under the Freedom of Information Act. For another example of the manipulation of the Warren Commission’s records, see Richard Russell and the Warren Report . Some of the details of these rumours were almost certainly false. The FBI numbers attributed to Oswald, S172 or S179, did not follow the normal pattern for paid informants, which was: an abbreviation for the agent’s local office (e.g. DL for Dallas, or NO for New Orleans) followed by an arbitrary four–digit number, and finally ‘S’ if the informant provided information on security–related matters. Alonso Hudkins, the journalist at the centre of the affair, later claimed that he had invented the numbers. The CIA number, 110669, did follow that agency’s normal pattern. a duplicitous pro– and anti–Castro activist in New Orleans during the summer of 1963. A member of the FBI’s office in New Orleans, William Walter, claimed that he had seen an FBI teletype that showed that Oswald had been an informant for that office: NARA RIF no. 180–10076–10413. A former CIA payroll officer claimed that it was widely assumed among his CIA colleagues that Oswald had been a full–time employee of the agency: HSCA Interview of James B. Wilcott, 22 March 1978. See also James B. Wilcott, ‘The Assassination of John. F. Kennedy: A CIA Insider’s View,’ Stray Magazine , February 1989, p.38. 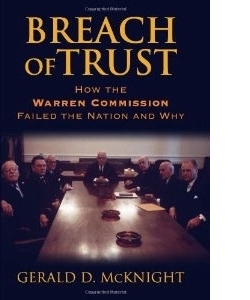 The most comprehensive account of the memorandum and the Warren Commission’s treatment of the rumours can be found in Gerald D. McKnight, Breach of Trust: How the Warren Commission Failed the Nation and Why (University Press of Kansas, 2005), pp.128–147. The book contains a transcript of Rankin’s memo on pp.366–8. Although the memorandum is undated, it was created between 24 January 1964, the date of the meeting, and 27 January, the date when Lee Rankin and Earl Warren were to bring up the subject with the other members of the Commission. Rankin’s memorandum for the files is CIA document 487–195A, Record Copy 201–0289248. A scan in PNG format is available at http://www.maryferrell.org/mffweb/archive/viewer/showDoc.do?docId=60439. Transcripts of the Warren Commission’s sessions can be found here: http://www.maryferrell.org/mffweb/archive/docset/getList.do?docSetId=1007. The Secret Service interview of Hudkins, Secret Service Report 767, is part of Waren Commission Document 320. For the FBI’s interviews with Hudkins and the Texas officials, see FBI HQ Oswald File 105–82555–100. Allegations have been received by the Commission to the effect that Lee Harvey Oswald was an undercover agent for the Federal Bureau of Investigation or the Central Intelligence Agency prior to the assassination of President Kennedy on November 22, 1963. This memorandum reviews these allegations and summarizes the action taken to date by the Commission. On Wednesday, January 22, 1964, I received a telephone call from Waggoner Carr, Attorney General of Texas. Mr Carr stated that he had received on a confidential basis an allegation to the effect that Lee Harvey Oswald was an undercover agent for the Federal Bureau of Investigation since September of 1962, and that he had been paid $200.00 a month from an account designated as No. 179. Mr Carr indicated that this allegation was in the hands of the press and defense counsel for Ruby and suggested that his information came ultimately from District Attorney Henry Wade, although he stated that he had not discussed this matter directly with Wade. After a discussion with the Chairman of the Commission and Mr Leon Jaworski, I contacted Attorney General Carr. I asked the Attorney General to to contact District Attorney Wade and try to ascertain more definitely the source of this allegation. At the request of the Chairman of the Commission, I also asked Mr Carr to ask Wade and his assistant, Bill Alexander, to come to Washington as soon as possible to discuss this matter. A meeting of the Commission was called for 5:30pm on Wednesday, January 22, 1964. All members of the Commission were present with the exception of John J. McCloy and Senator Richard B. Russell. This specific allegation was discussed in detail by the Commission. It was recognized by all members of the Commission that, although this allegation was probably not accurate, this matter had to be regarded seriously by the Commission. It was agreed that the Commission would have to take whatever action necessary to pursue this matter to final conclusion. During the meeting efforts were made to contact Attorney General Carr again. When he was contacted, Attorney General Carr stated that the Disctrict Attorney Wade had been unable or unwilling to specify the source of this allegation in more detail. He informed me that he and Messrs Wade, Alexander, Jaworski, and Storey would come to Washington the next day. On December 17, Mr Hudkins advised that he had just returned from a weekend in Dallas, during which time he talked to Allen Sweatt, Chief Criminal Division, Sheriff’s Office, Dallas. Chief Sweatt mentioned that it was his opinion that Lee Harvey Oswald was being paid $200 a month by the FBI as an informant in connection with their subversive investigation. He furnished the alleged informant number assigned to Oswald by the FBI as “S172”. The report concludes with the request that Chief Allen Sweatt of the Dallas Sheriff’s office be interviewed regarding the above allegation. Upon being informed by representatives of the Secret Service that this subsequent interview had not yet taken place, I requested that it be done immediately. On Friday, January 24, 1964, the Chairman of the Commission and I met with Attorney General Carr, District Attorney Wade, Assistant District Attorney Alexander, Mr Jaworski and Dean Storey. We reviewed the situation to date. District Attorney Wade and others of the Texas representatives stated that the rumors to the effect that Oswald was an undercover agent were widely held among representatives of the press in Dallas. They stated also that Mr Belli, attorney for Jack L. Ruby, was familiar with these allegations. 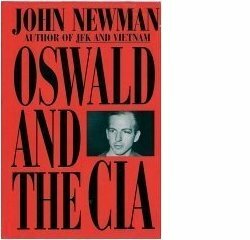 Wade stated he was also aware of an allegation that Oswald was an informant for the CIA and carried Number 110669. District Attorney Wade and Alexander stated that the sources for these allegations or rumors were several reporters, inlcuding Houston Post reporter Hudkins. They did not pinpoint Hudkins as being the source of this information, but they did not name any other individual reporters. They both indicated that they would not vouch for the integrity or accuracy of these reporters. They did inform us that this information was not disclosed in chambers during the bail hearing on Monday, January 20, 1964. District Attorney Wade stated that, based on his experience as an FBI agent during the years 1939–1943, he did not think that the number would be either a payroll or voucher number carried on the Bureau records. He suggested that the records are not kept that way and would not show the name of the informer, who would probably be paid by the FBI in cash. He further stated that in his experience it was customary for the agent to carry the informer on his books as a number. Special Agent Hosty was transferred from Dallas two weeks after the assassination. The Chief Justice decided to present the results of this meeting to the entire Commission on Monday, January 27, 1964 and decided to propose tentatively that necessary inquiries be made concerning these allegations and that this memorandum be prepared for the record. On the evening of Friday, January 24, 1964, a member of my staff was informed by representatives of Secret Service that Allen Sweatt, Chief of the Criminal Division of the Sheriff’s office in Dallas, had been interviewed regarding the allegations made in Secret Service Report No. 767. According to this oral report, Sweatt stated that he received the allegation from Mr Alexander in District Attorney Wade’s office. He also mentioned Houston Post reporter Hudkins as a source of the information. When Sweatt was informed that the number in a similar allegation was 179 rather than 172, as he had indicated initially, Sweatt indicated that he would accept 179 as the correct number. Secret Service Inspector Kelley expressed his view that Hudkins was not very reliable, based on previous unfounded reports which he had furnished to Secret Service. HTML elements have been incorporated to make this version accessible both to human readers and search engines. The text is unchanged.